Let’s say you enjoy the promise of Halloween bending the real. Let’s also assume you are someone who is deeply rational, but find yourself inexorably dragged along by a cadre of people who want to enjoy a “spooky, scary” time. Consider Virginia. At the beginning of his book American Oracle, the historian David Blight quoted a Union soldier touring the state who noted with surprise that the Civil War had “transformed the ‘Garden of the South’ into the ‘Graveyard of America.’” These locations pay tribute to that transformation, which should be kept in mind for the coming Halloween season. 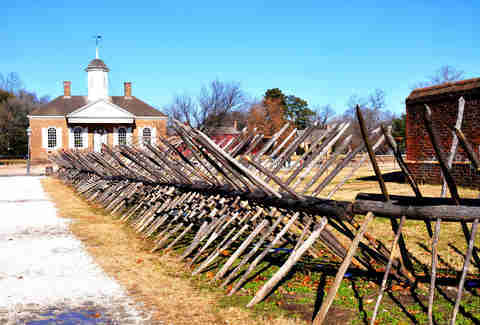 “Some of the most haunted places on earth are battlefields,” Angela Taverniti of Ghost Tours of Yorktown told Thrillist. And when you walk through Yorktown’s quiet, intimate streets -- which open up to a place called Cornwallis' Cave that apparently serves as a "vortex" to the past -- that impression will be all the more striking. Dates: Open May through October, with additional times on select dates. 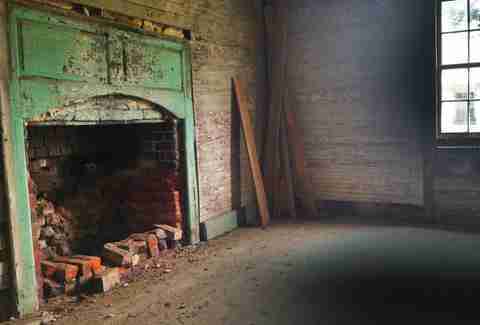 In the past, Richmond had one of the largest slave markets in the country. It also burned at the end of the Civil War. Belle Isle was a prison for Union Soldiers in the interim. There is no shortage of stories for the folks at Haunts of Richmond to convey, and -- given that you’ll be taking a tour in Richmond -- there will be no shortage of excellent booze to discover along the way. Folks have seen floating lanterns, or heard gunshots and cries for help. Or apparently gotten shoved from behind by mysterious forces. Sometimes, cars that won’t start. This battlefield was the site of gruesome combat, and, according to the reports, the National Park site sounds like it remains one today. Be sure to consult a map before you go. George Wythe, America's first law professor, taught Thomas Jefferson, Henry Clay, John Marshall, and others. His house is in Williamsburg, and there is rumor that -- from time to time -- a woman who died in the house by the name of Ann Skipwith emerges from a closet, examines herself in the mirror, and then vanishes. You can only tour the house with a Colonial Williamsburg ticket, but if you live in the area, attend William and Mary, or are related to someone who goes to William and Mary, you can get a free pass. Dates: It's open for tours through October, but call ahead or consult the ticketing sites for specific events. 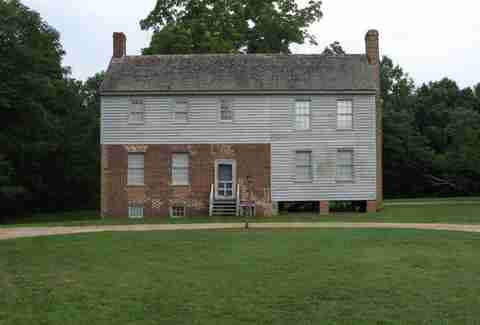 This plantation house, like many of those that still stand, a place where modern Americans can confront their country's original sin. Unlike most of them, it’s also a place where, as one writer notes, “every full moon feral cats gather, climb into the tree and howl,” and local residents have seen “the image of a woman with long, wet hair walking along the banks of the river at night.” Call or email ahead for specific info on its Hauntober Friday Nights (October 17, 24, 31); Stroll of Lost Souls; and sessions with psychic mediums -- if those strike your fancy. If not, there's also their standard daytime tour. 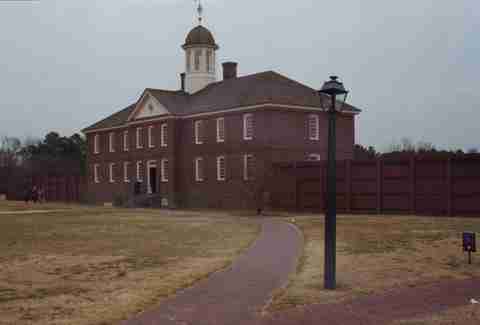 It stands in Williamsburg, Virginia, “the First public building in North America devoted to treatment of mentally ill.” Above ground, you can tour an exhibit related to that for free with Colonial Williamsburg admission. Supposedly, ghosts have been said to stand in the windows at night, if you want to look for those, too. Below ground, you can find access to a folk art museum. Once you’re finished there, consider grabbing a drink at either Aleworks or the Virginia Beer Company, both of which are nearby. A reality of living in Virginia is the driving. When you’re driving, there will be a decent chance that you’re passing farmland. But when’s the last time you stopped to explore what was in that farmland? This haunted farm proudly touts "children insanely laughing" and "dark shadowy figures coming out of the corn." You may be close to Alexandria and DC when you visit here, but once you plunge into the farm field, you’ll feel like you’re 1,000 miles away. 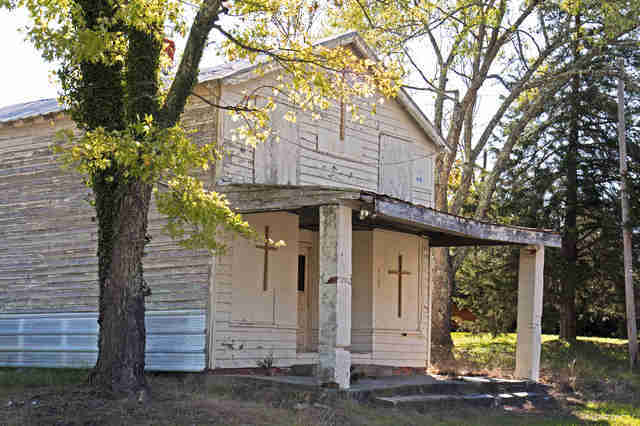 This is an unorthodox selection, but if haunted places aren’t necessarily "your thing" -- and you still find yourself in the mood for something that tilts your mind in the direction of ghosts -- why not visit a literal ghost town? Life was there, and then it very literally wasn’t. And no one else is around, let alone seemingly able, to do anything about it. 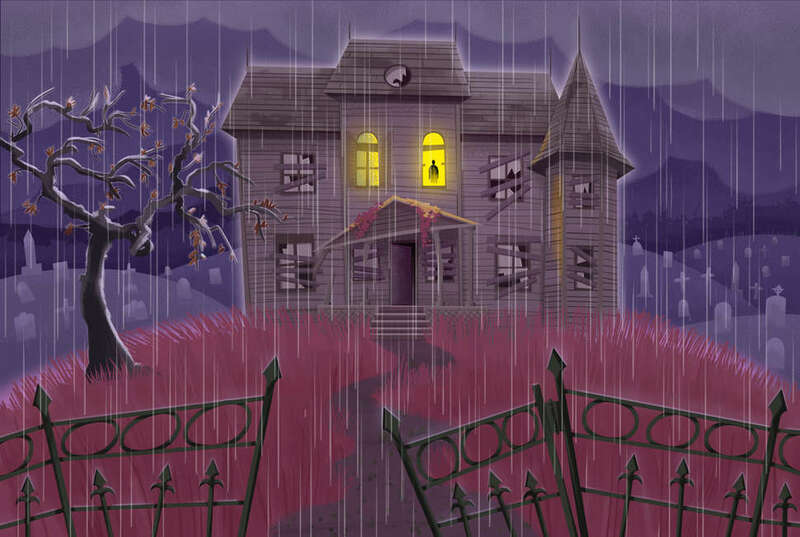 If you're a complete fright fiend, check out our other guides to find the best haunted houses in Atlanta, Chicago, Denver, Houston, Michigan, and New Orleans. Evan Fleischer is a contributing writer to Thrillist. His work has previously appeared in The New Yorker, The New York Times, and numerous other publications.